We're a small fishing club for fly only fishing on the Tees & Balder. Based in the idyllic parish of Cotherstone, we offer annual membership to village residents, past or present & member accompanied guest day tickets for their family & friends. Fishing stretches roughly 2 miles on the Tees & Balder. 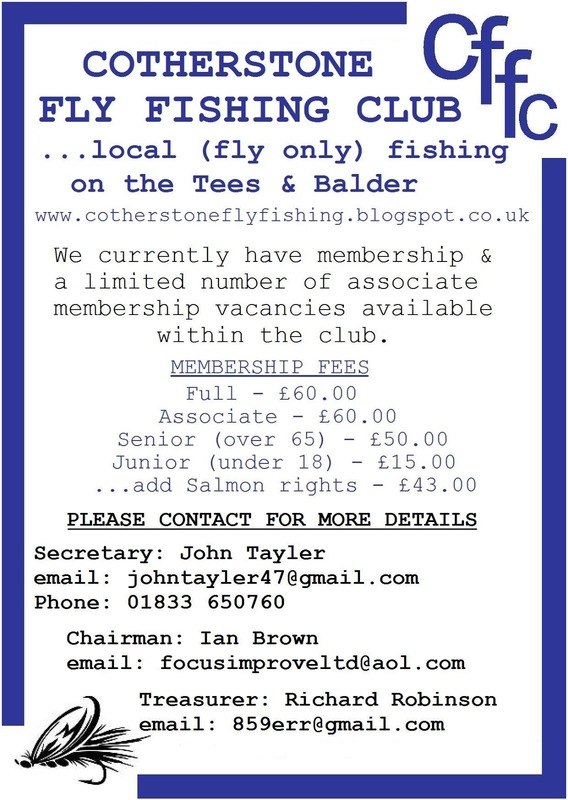 Another fishing season is upon us and I'm happy to announce the club has some membership availability. We're actively seeking local parents who'd like to try fly fishing with their children and offer junior membership at only £15 a year (adult membership £60). Amongst our club are some experienced fisherman who are more than happy to impart their knowledge and help guide our novices to become accomplished fly fishers of the future. 2019 by E R Robinson. Simple theme. Powered by Blogger.